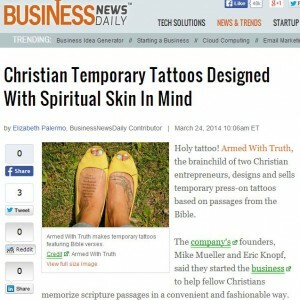 Congratulations to our Client Armed With Truth for their feature on BusinessNewsDaily! 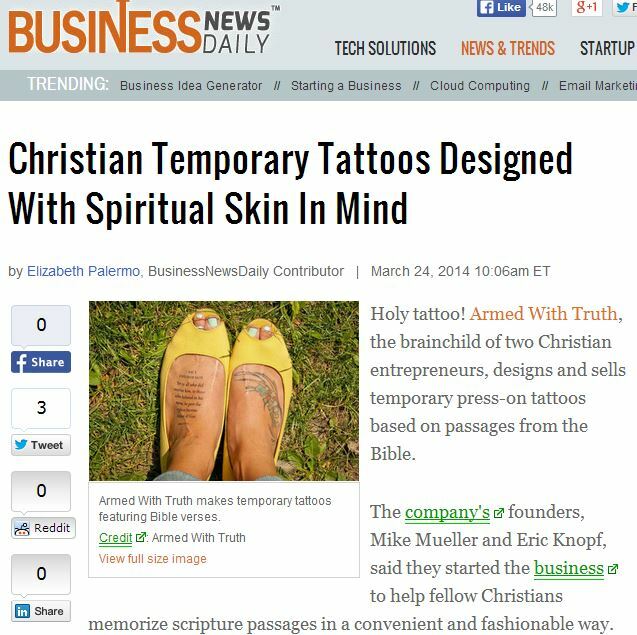 Armed With Truth has a mission toÂ equip you with the Word of God with their uplifting temporary tattoo packs. All tattoo packs come with 10 different tattoos containing scripture centered around a transformational theme — from knowing your Identity in Christ to becoming a Change Maker.Â Each tattoo will continue to look classy for about 3 days before you should scrub it off and apply the next one. By the end of the month you will have 10 new truths memorized. Check them out at armedwithtruth.com!